Empired Ltd is a national IT Services Provider with a broad range of capabilities and a reputation for delivering enterprise class services and solutions. Established in 1999, Empired is a publicly listed company (ASX: EPD) founded in Western Australia with offices throughout Australasia. With a team of 800 people located in Perth, Melbourne, Sydney, Brisbane, Adelaide, New Zealand and Seattle, Empired has built a reputation for service excellence and is a leading provider of business technology solutions to both government and private sectors. Empired work with clients to deliver high quality solutions to meet business requirements. With a flexible service delivery approach and a “can do” attitude, Empired has been able to secure clients that range from medium size entities through to large enterprise accounts with services delivered across Australia and South East Asia. Fusion5 provides unique and innovative Microsoft Dynamics CRM and SharePoint solutions that address the needs of some of the largest, most complex and successful organisations in New Zealand. From manufacturing, the agricultural sector and not-for-profit to higher education, we have delivered award-winning solutions to businesses and organisations who recognise that a focus on their customer growth, retention and service are critical to their future. Our award-winning team most recently won the prestigious CRM Partner of the Year Award 2016. We are a Gold Certified partner for Dynamics CRM, Cloud CRM, and Collaboration & Content, and a Silver Certified partner for Application Development. Oakton is a leading consulting and technology firm, providing advice and guidance to clients on how to transform into successful digital businesses. Oakton brings deep business insight and technology expertise, together with a collaborative approach, to assist organisations to embrace the innovative digital technologies reshaping today’s rapidly changing world. Oakton is a part of the Dimension Data Group. Professional Advantage focuses on providing technology and services that enable high-performance workplaces and organisations. Professional Advantage was established in 1989 and today employs more than 230 people in Sydney, Melbourne, Brisbane, Perth, London and Fargo, USA. The company is the largest provider of leading brand global business management systems, such as financial management, ERP, CRM, retail, business intelligence, business process management and portal solutions to midsize organisations in Australia, supporting over 800 clients nationally. Its multi-product offering is complemented by its development, systems integration, consulting, training, and support services. Sable37 delivers business-improving software and services, specializing in cloud-based industry solutions, powered by Microsoft Dynamics 365 (formerly AX and CRM). With offices in North America, Australia, New Zealand, the Middle East and India, Sable37 works in partnership with our customers to help them achieve their goals, solve complex business problems and get the most out of their investment in technology. We hire only the best, allowing us to deliver projects faster and with lower risk, resulting in greater return on investment and higher customer satisfaction. We have built a reputation for delivering Intelligent solutions, real results and exceptional service to earn customers for life. For over 25 years, SMS have been providing businesses with more than just solutions. We empower business by helping them flow and acting as the bridge between business and technology. With over 1500 staff across 9 offices, we pride ourselves as an end-to-end results-focused organisation who make things work for business. SMS currently houses one of Australia’s biggest Dynamics CRM practices and has been a Microsoft Australia Award Winner for CRM projects for the past two consecutive years. Beyond CRM is committed to making sure businesses, regardless of size and budget, can access and harness the power of Microsoft Dynamics 365 as a best-of-breed customer management solution. Specialising in small to medium business, we can help to empower your business with powerful sales and marketing tools to grow and engage your customer base. With many years of Dynamics CRM and marketing automation experience, we can help you to get the most out of ClickDimensions. Dialog Information Technology is one of Australia’s leading technology services organisations trading from offices in Brisbane, Sydney, Melbourne, Canberra, Perth, Darwin, Hobart, Townsville, Hong Kong and New Zealand. Established in 1979, Dialog is a Microsoft Gold Partner which employs over 1,200 information technology consultants. The Dialog Dynamics Practice forms one of Australia’s largest Microsoft Dynamics Partners. Dialog has an excellent track record in delivering projects on time and within budget and to customer satisfaction. The Dialog Dynamics team has completed many successful Dynamics CRM implementations across various industries. JayThom employs game-changing thinking, service-oriented architecture and web service technology to deliver comprehensive, industry-specific solutions that help companies perform better, as well as become more efficient and competitive. Our key verticals include local government, sporting clubs and venues, associations, corporate governing bodies, services, and hospitality. We leverage an organisations’ existing investment in Microsoft applications, by providing flexible and innovative methods to improve client management, to collaborate proficiently and to gain useful business intelligence. Our more than 25 years’ expertise working with customer relationship management solutions, including key providers like ClickDimensions, ensures our customers gain the most productive outcomes. Total CRM is a Melbourne-based consultancy firm who has worked with CRM software since 1996. We are dedicated specialists, providing total expertise in both the technical and commercial aspects of a successful CRM rollout, and we are proud to be a certified Microsoft Gold Partner. Total CRM works in partnership with you to achieve your business goals through innovative CRM and marketing automation solutions. Our consultants focus on customising your system to make it easy for you to use on a day-to-day basis, to make your processes more efficient, and to provide you with powerful reporting and business insights. We work closely with both Microsoft and ClickDimensions to stay ahead of new features and developments, and as your partner, we work with you to make sure you are always getting the most from your system. UXC Eclipse is a leading provider of intelligent business solutions to the enterprise and mid-market. Established in 1991, UXC Eclipse’s success has been built by providing the highest levels of service and offering a choice of solutions from leading software vendors. UXC Eclipse also delivers industry-specific (vertical) solutions on the Microsoft platform to meet ERP and CRM requirements. Zavanti is unique in providing specialised CRM solutions for the Real Estate industry and the Professional Services sector. Our CRM solutions are built upon the Microsoft Dynamics CRM platform and provide organisations with the instant ability to utilise extensive specialised databases, workflows and reporting for their industry. They can then build these into our full service solutions including ERP and Finance. Artis Group is an Australian Dynamics 365 Partner, Microsoft Gold Partner and Microsoft CSP (Cloud Solutions Provider) specializing in Microsoft technologies including Dynamics 365, Office 365, Azure and PowerBI. Our mission is to enable the modern digital organisation with market-leading cloud technologies. We are a national, multi-award-winning company engaging high calibre technology strategists, consultants and system integrators. We focus on delivering digital business outcomes that enable customer engagement, empower employees, optimise operations and future proof businesses. Our clients work with us due to our industry credibility, expertise, trust and commitment. Centauri is a young and energetic company with a wealth of knowledge and experience in the IT and business services industries. We specialise in Microsoft Dynamics 365 CRM, bringing fresh and innovative ideas tailored to business needs. We are certified Microsoft specialists, and have extensive experience working with clients in various business verticals for projects differing in scope and size. We also provide additional services for Microsoft Dynamics 365, which includes add-ons like ClickDimensions, Microsoft Dynamics Portals and integration services using tools such as Scribe Insight, KingswaySoft SSIS Integration toolkit and the Microsoft Dynamics Connectors. Clade is a premier Microsoft consultancy delivering next generation sales and marketing solutions for our customers. We leverage Microsoft Dynamics CRM and ClickDimensions to simplify and improve the customer engagement process with the ultimate goal of delivering exceptional experiences. We work with some of Australia’s leading organisations in healthcare, insurance, professional services and education. CRMCORP is one of the few CRM consulting firms in Australia that focuses solely on developing and delivering CRM solutions. This singular clarity gives us an edge, as it allows our consulting team to develop the strong sales and marketing skills to all but guarantee a significant ROI on our client’s CRM and marketing automation systems. Our team has over 20 years of experience in delivering sales and marketing focused CRM systems, and our campaign automation strategies are unique, eye opening and effective. Dalmata Marketing is a leading full-service marketing automation agency with a client list that stretches from India to Australia. With more than 25 years of sales, marketing and business operations experience, Dalmata’s leadership can drive the planning and execution of best-practise marketing automation programs for both B2B and B2C companies. We can effectively connect the dots between sales, marketing, systems and procedure to achieve true alignment between sales and marketing with clear ROI on your marketing automation investment. We will design, construct and maintain programs that deliver the full benefits of nurturing prospects 24/7, qualifying them and generating sales accepted leads. Eagle360 Consulting’s team has extensive experience in Dynamics 365 implementations with ERP and CRM sales and marketing. Our proven track record with our customers shows that we are a dependable organisation that can work with businesses of all sizes, in diverse industries, including distribution, logistics, retail, fashion, services and manufacturing. Our service level embodies our guiding principles which include value, transparency, collaboration and integrity. ECLEVA is a business technology solutions company that creates innovative ideas, delivered simply. Our services range from CRM, XRM, document management, mobility solutions and business support. The company was formed by merging two leading technology solutions providers in Australia – PNP Solutions and S1 Consulting. With 20+ years of experience working with the education, community, construction, finance and professional sectors, we understand the context in which your business operates and what you need from your IT solutions. As a Microsoft Gold CRM Partner, we are always updated with the best technology to bring your processes together and get your organization working smarter. Empower IT Solutions is passionate about helping Australian businesses use technology to enhance and optimise their business operations. As a ClickDimensions and Microsoft partner, we can help automate your business’s marketing practices and customise your Dynamics 365 platform to work the way you want it. Our solutions extend to setting up and customising of SharePoint, Office 365 and Dynamics 365 environments. We also provide managed IT services, cybersecurity and cloud services that can give your business a competitive edge. Paradyne deliver comprehensive Cloud Consulting services that help businesses enhance their IT capabilities using cost-effective Cloud Solutions, including; Cloud Software as a Service, Cloud Infrastructure as a Service, and Solutions for Modern Business. With our Partners, including Microsoft and Telstra, Paradyne provide the latest business and communications software like Office 365, Windows Intune, communication software, processing tools and more. SGS Professional is different from other CRM providers. Our focus is on delivering the business outcomes you need to be successful. We fully understand that your organisation is driven by the people in it. The role of the technology that you use is to support those people. SGS Professional has the skills and experience to work with your organisation to deliver results, and we can underpin that delivery with business consultancy, user support and great solutions like ClickDimensions and Microsoft Dynamics CRM. If you are looking for more than a plain “CRM seller”, come to SGS Professional. Showtime Digital is a marketing agency helping businesses connect with their online audience. We’re excited by what motivates people to do what they do online. That enthusiasm gives us a real desire to help businesses harness the full capacity of ClickDimensions. Marketing Automation helps you deepen your understanding of your consumer and how they choose to engage with you helps deliver a robust customer experience from awareness to sale and beyond. 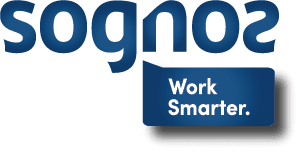 Our purpose at Sognos Solutions is to help organizations work smarter in today’s high-tech world by leveraging the very best in cloud applications, services and technologies. We help our customers truly work smarter by employing the very best in CRM and sales automation, marketing automation, customer service and case management automation, field service optimization, project service automation, ERP and operations management, financial management, HR and talent management, and even Australian Payroll administration. In other words, we work with organizations to transform their entire business with modern and intelligent cloud solutions. Superfluid is the ICT professional services arm of management consulting firm State of Matter. Superfluid’s primary focus is to help midsize organisations leverage business applications for competitive advantage. The team specialises in Microsoft Dynamics CRM and productivity applications such as SharePoint, and we work with a variety of related vendors and technologies to ensure our clients receive the right solution for their needs and budget. With a management consulting heritage and deep technical capability we’re able to help you drive business performance from your initiatives. TTS provide Microsoft software solutions and services to an Australian and International customer base specialising in Microsoft Dynamics, Microsoft SharePoint and Office365 technologies. We operate Microsoft consulting, training and certification practices providing our customers with a complete solution and services package that recognises the importance of excellent customer service, happy users and measurable return on investment. XRM Solutions specialises in Microsoft SharePoint and Dynamics CRM implementations and customisations. Our aim is to provide business solutions that help your business grow by aligning well defined business processes and the latest technology to ensure that your business optimises every opportunity through real time business intelligence. XRM Solutions are experts in .Net application development and Dynamics CRM and SharePoint customisations. With over 20 years of combined experience we can help your business; plan, design, customise, install and configure a business system to improve your business efficiencies and workflow.